With today marking the official 20th anniversary of the original PlayStation’s release in Japan on December 3, 1994, Sony took this opportunity to announce a special 20th anniversary PlayStation 4 console. Limited to just 12,300 units worldwide as an homage to the PS1’s release in Japan, gamers in the United States and Canada will be able to pre-order the system for $499 starting on Saturday, December 6, with more information coming during Sony’s PlayStation Experience keynote on Saturday morning at 10am PT/1pm ET. As for Europe, “the 20th Anniversary Edition will not be available via traditional retail channels in the SCEE region.” Further details about how to get one are expected “soon,” but for now we do know it will cost €499. 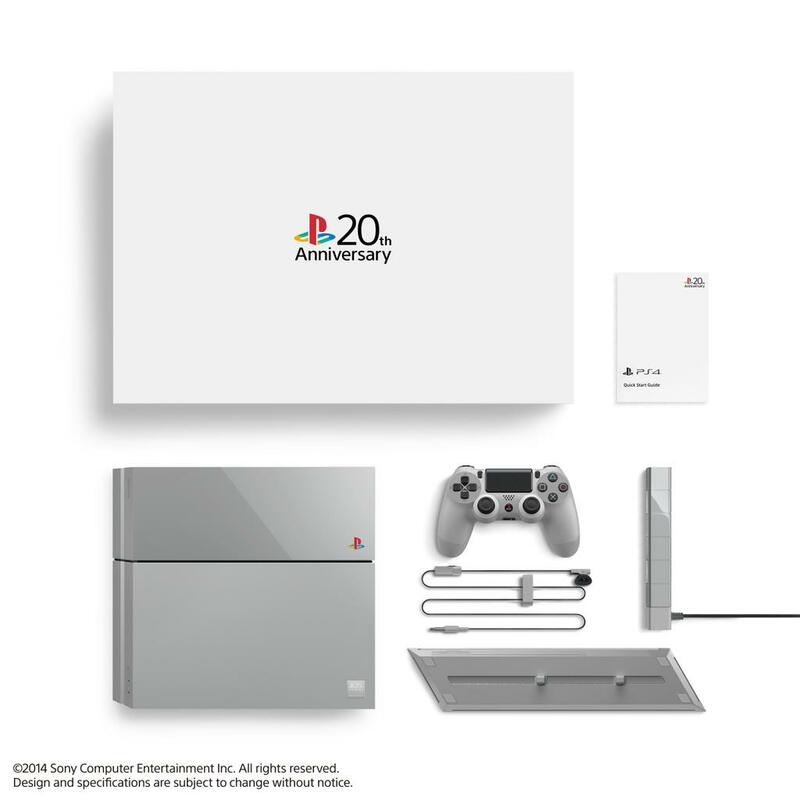 Featuring the “original gray” color for everything, the 20th anniversary PS4 bundle will include a 500GB PS4 system, the PlayStation Camera, a DualShock 4, the vertical stand, a mono headset, power cord, HDMI cable, USB cable, and manuals. As an added bonus, the surface of the DualShock’s touch pad is embossed with the “△2○×□” pattern, while each PS4 will feature a plate on the lower right-hand corner of the front-side inscribed with a number of 1 through 12,300. The PlayStation 4 20th Anniversary Edition is a very special model that is reminiscent of the original PlayStation, which has inspired every other PlayStation platform launched in the past two decades. This limited edition PS4 offers a great sense of nostalgia to long-time PlayStation fans, while also providing a fresh experience to those who never picked up the original console. The PlayStation 4 20th Anniversary Edition embodies our appreciation and gratitude to all our fans, publishers, and business partners that have provided us with tremendous support for the past 20 years, and we look forward to their support as we continue to imagine and build the future of PlayStation together for years to come. We remain steadfast in our commitment to deliver the best gaming experiences and to offer the best place to play for gamers around the world. How badly do you want this PS4?